Please accept my most humble obeisances at the dust of your divine lotus feet on this most auspicious occasion of your 121st Vyasa-puja celebration! All glories to Your Divine Grace! This humble homage is an offering of an entire book dedicated to you, Srila Prabhupada. This book entitled Bombay is my Office: Memorable days with Srila Prabhupada in Bombay will be launched on the grand occasion of the 40th anniversary of the opening of the Radha-Rasabihari Temple in Juhu, Bombay on 14 January 2018. My book title is inspired by Your Divine Grace repeatedly saying, ‘Bombay is my office’. In this book I describe how your business was pure devotional service to Krsna, and in Bombay you pursued your mission to establish Krishna consciousness in India. In the sixteen chapters which comprise the book, I attempt to portray you Srila Prabhupada, as a spiritual ambassador, and detail how you made your office a spiritual embassy for your mission. From this sacred office, you exclusively devoted yourself to the direction and coordination of various activities relating not just to Bombay and India, but to the rest of your centres worldwide. Srila Prabhupada, you mercifully employed me as one of your office boys in this mission to spread Krishna consciousness. It is for this reason that Bombay has special significance for me. It was my spiritual birthplace.I was conceived at your first Bombay festival at Cross Maidan in 1971 and I was born in 1972 at Hare Krsna Land. 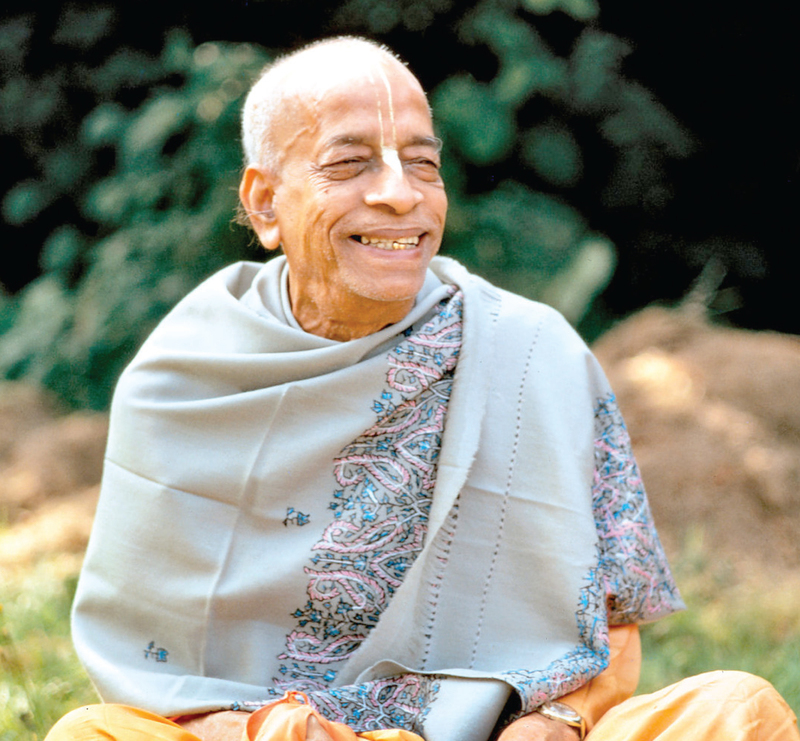 Srila Prabhupada, you always said, “If you want to remember something, write it down.” In the introduction to “A Transcendental Diary”, Hari-sauri Dasa recalls that within two days of his assigned association with you, he purchased a blank notebook to keep a diary. He had the foresight to update his diary daily, “thinking that ten or twenty years hence I would be able to read the notes and relish the brief time spent with Prabhupada.” Sadly, I did not have his wisdom, and deeply regret not recording every encounter, because then there would be volumes to write about you. Naturally I am also inclined to reminisce about my relationship and encounters with Your Divine Grace and the priceless instructions you gave me during my founding years in Bombay. As the years passed, some memories have disappeared. Such is the effect of time, especially in the Age of Kali. Please forgive my incomplete recollections. I write this book fully aware that my ability to share is compromised. This project was undertaken in tandem with my godbrother Giriraja Swami, who is also writing about your days in Bombay. It occurred to me that I could surrender all my material to him, given the anticipated overlap, but he suggested that both books be written, with me providing a memoir, and his book, historical coverage. That inspired me to make this endeavor, which I had put off for several years. As I seriously got down to the business of reviving my memories of my encounters with you in the various chapters of the book, I sifted through various events, visions, instructions, suggestions, experiences, and interactions in those initial days when it all began in the lap of Hare Krishna Land. In writing these memories, they became more meaningful and conveyed a deeper, different meaning to me than they ever had before. Srila Prabhupada, as a result, the bonds of my relationship with you and others further solidified, and I felt more deeply situated in my relationship with you. There are many disciples’ remembrances of you, Srila Prabhupada, that wonderfully complement my narratives. Their voices add texture and authenticity to the text. Several amazing disciples are no longer with us, and my book is in part a tribute to them as well as a permanent inscription of their reflections: in particular, the voices of Tamala Krsna Goswami, through his prolific writings and interviews; Madhudvisa Swami, the first temple president of the Juhu temple, whom you referred to as ‘the emperor of kirtana’; Sridhar Swami, affectionately called ‘the jolly swami’, for whom you sparked a thirty-five-year spiritual journey; Surabhi Prabhu, described as the Vishvakarma of ISKCON because he was the chief architect of the Vrndavana temple, the Juhu temple, and your Pushpa Samadhi in Mayapur. You taught Bhakti Svarup Damodara Maharaja the scientific basis of Krishna consciousness and that life comes from life and not matter. This gave birth to the Bhaktivedanta Institute for organising scientific presentations of Krishna consciousness; and last but not least Yamuna Devi Dasi, whose melodic singing of the Govindam prayers plays every morning at every ISKCON temple worldwide. In this book, I recall the moment when you Srila Prabhupada, selected the melody that was sung by Yamuna Devi Dasi. In this book, I endeavored my best to recall and reflect in order to provide the most complete picture, and I know that the devotees interviewed, undertook the same process. In so doing, the reader is thus allowed a real-life experience with their spiritual father – striking encounters after which everyone hankers. By recalling these collective memories, I have tried to make these exceptional memories of you immortal. Writing this book has increased my understanding of you and your position, and enlivened my dedication and perseverance to wholeheartedly carry out your orders and serve you unreservedly. Srila Prabhupada, your life and the principles you emulated have been the example by which I govern my life. Reliving your life through this book has generated within me an inspired renewal of your teachings, which I always hope to live by, through your mercy and love. May Bombay is my Office open readers to your influence and by your mercy rekindle their Krishna consciousness. This is the one book I always wanted to write and read again and again.